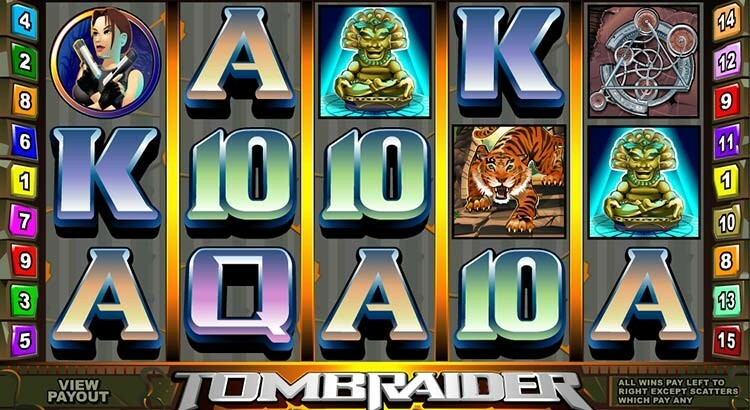 A mate of mine was playing at the Microgaming casino Roxy Palace (No USA players, although many US residents can playÂ the same gamesÂ at Lucky Nugget or Fortune Room) on Tombraider. He’d been on a good run already getting up to $9,000 from a $650 deposit, when he decided to bet big. So he set the spin to the max bet $37.50, and let it ride. Almost immediately he got the “holy grail” – 5 Wilds on line 10. What’s more, in the same session he got 5 scatters for $6,000 – and here’s the screenshot to prove it. Personally, I’m not a great fan of the Tombraider slot – it’s OK, but I prefer Thunderstruck myself. But you can’t argue with this one. The slot rewards 10 free spins (wins are trebled) when 3 or more scatters appear in view, and here is a pick ’em style bonus game built in too. My Biggest Casino Win (To Date!) – 4,000xâ¦YAY!